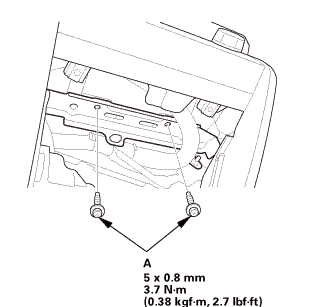 Remove the center lower panel (A). NOTE: Take care not to scratch the center console panel or the related parts. 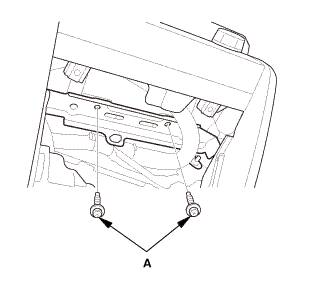 Eject the CD before disconnecting the audio unit to prevent damaging the CD player’s load mechanism. 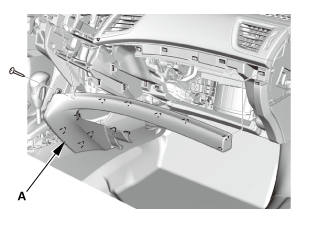 If you are replacing the audio unit, write down the audio presets (if possible), and enter them into the new audio unit. 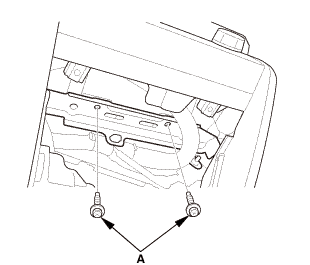 Disconnect the connectors, then pull out the audio unit (A). 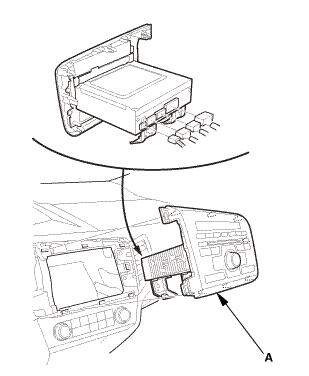 Disconnect the connectors, then pull out the audio unit assembly (A). 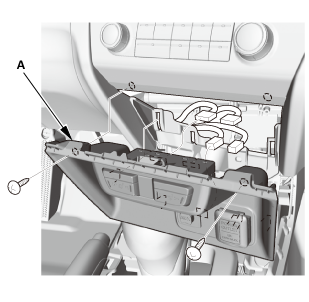 Pull the climate control panel assembly (A). 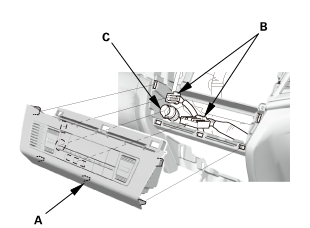 Disconnect the connectors (B), and the aspirator hose (C). Remove the passenger's dashboard trim panel (A). 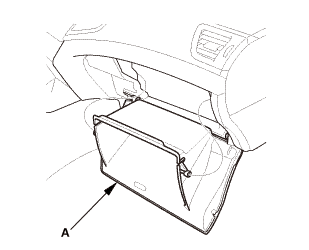 Install the passenger's dashboard trim panel (A). 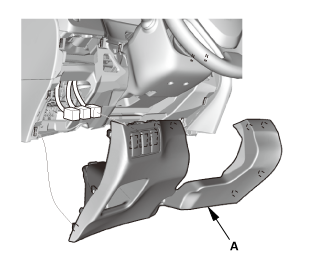 Connect the connectors (A), and the aspirator hose (B). 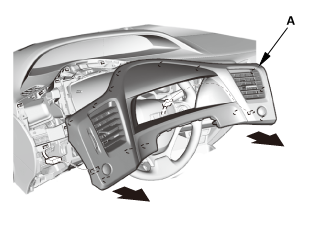 Install the climate control panel assembly (C). Connect the connectors, then install the audio unit assembly (A). NOTE: Make sure all the connectors and the antenna lead are securely connected. 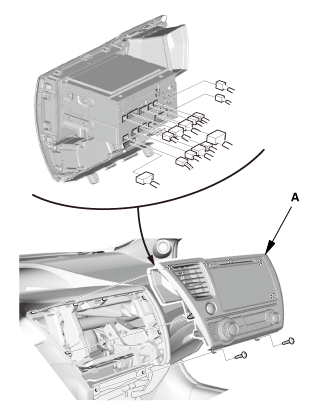 Connect the connectors, then install the audio unit (A). 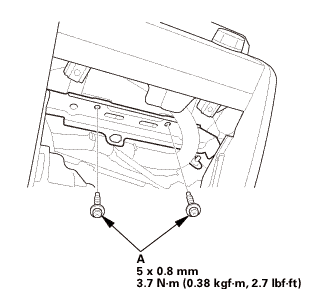 Install the center lower panel (A).